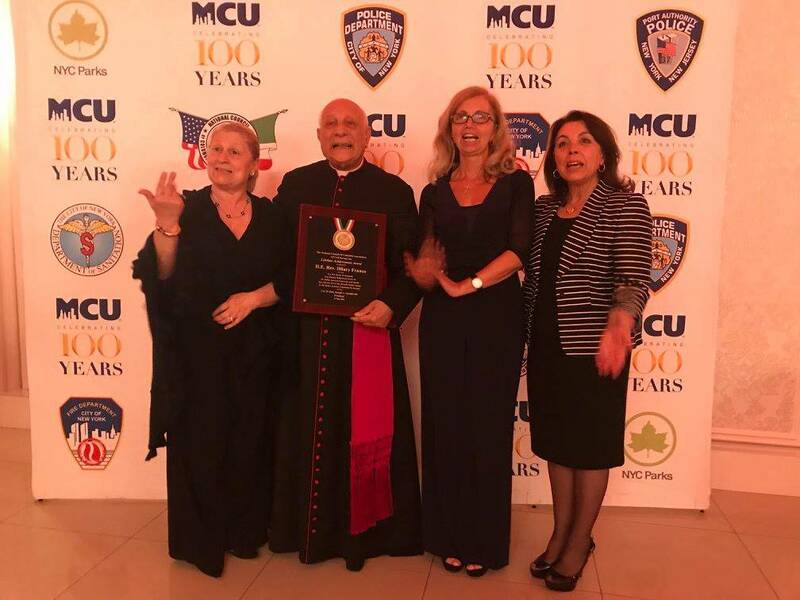 The National Council of Columbia Association in Civil Service celebrated the exemplar service of Italians and Italian Americans at their annual Award Dinner. Attendees were honored, awarded, and recognized for their hard work, dedication, and admirable characters that serve to support their communities and preserve Columbus and his legacy. The National Council of Columbia Association in Civil Service held its 59th annual awards dinner May 24 at El Caribe in Brooklyn. The Council took this special occasion to honor, award, and recognize various members of the community for their exceptional dedication and achievements. The NCCA is a nonprofit educational and social foundation that promotes Italian American culture and heritage working through fraternal organizations. It is a resource for the Italian American community, in addition to having educational and youth programs. This 2018 dinner was particularly important because it was dedicated to the preservation of Columbus and his memorials across New York City. 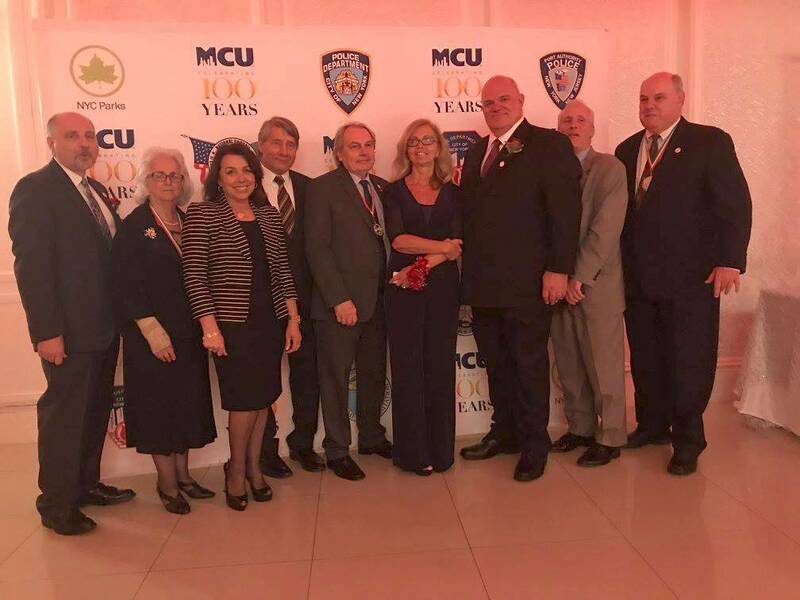 The highly esteemed council that is incredibly grateful for its supporters, ensures that everyone involved is an exemplary Italian or Italian American who goes above and beyond their duties to serve others, as well as their community. Also there to congratulate the awardees, was the Consul General of Italy in New York, Francesco Genuardi. During his speech the Consul highlighted the NCCA many accomplishemnts and the key role that the foundation plays in supporting and promoting the Italian American culture and community. H.E. Rev. 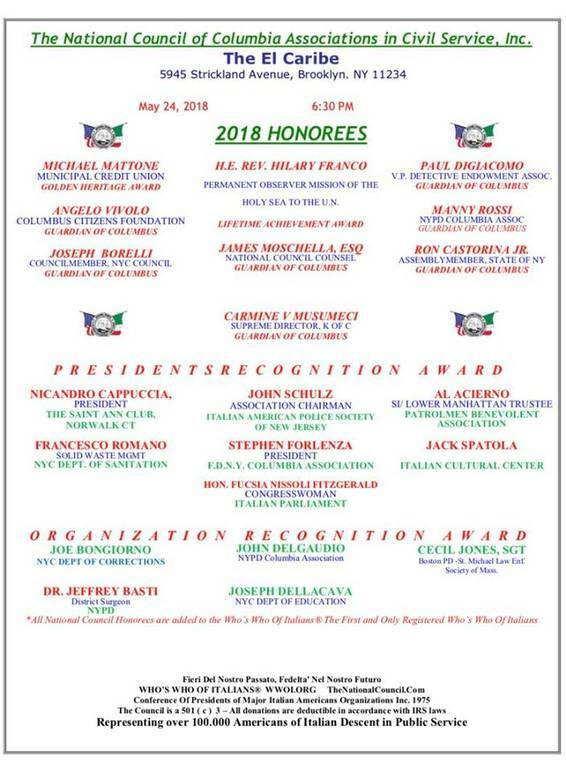 Hilary Franco, a Permanent Observer of the Mission of the Holy Sea to the U.N won the Life Time Achievement award; Michael Mattone of the Municipal Credit Union won the Golden Heritage Award; Angelo Vivolo of the Columbus Citizens Foundation is honored as a Guardian of Columbus; James Moschella, Esq. of the National Council Counsel is honored as a Guardian of Columbus; Paul DiGiacomo, the Vice President of the Detective Endowment Association, is honored as a Guardian of Columbus; Manny Rossi of the NYPD Columbia Association is honored as a Guardian of Columbus; Ron Castorina Jr., an Assembly Member for the State of NY, is honored as a Guardian of Columbus; Joseph Borelli, a Councilmember for the NYC Council is honored as a Guardian of Columbus; and Carmine V. Musumeci, the Supreme Director for K of C, is honored as a Guardian of Columbus. 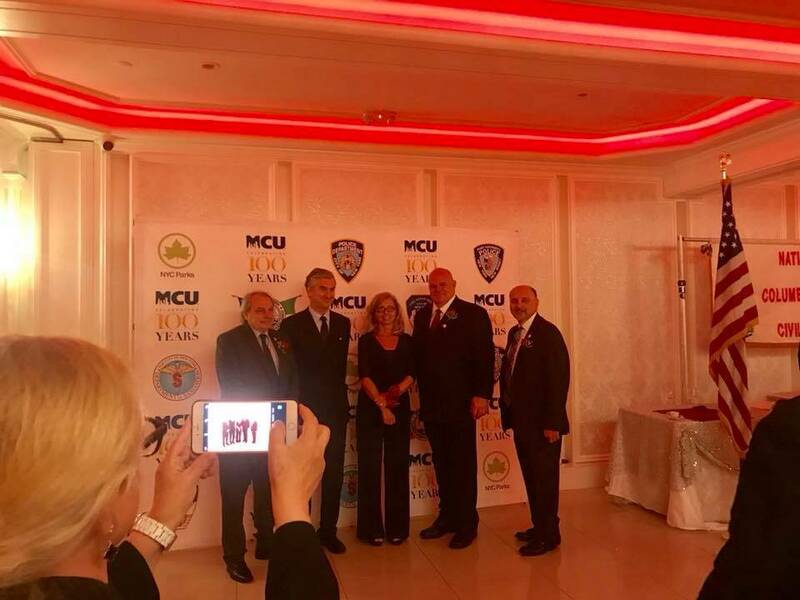 John Schulz, the Association Chairman of the Italian American Police Society of New Jersey; Jack Spatola of the Italian Cultural Center; Nicandro Cappuccia, the President of The Saint Ann Club of Norwalk, CT; Francesco Romano of Solid Waste Management in NYC for the Department of Sanitation; Stephen Forlenza, the President of the F.D.N.Y Columbia Association; Hon. Fucsia Nissoli Fitzgerald, a Congresswoman for the Italian Parliament; and Al Acierno of the SI/Lower Manhattan Trustee Patrolmen Benevolent Association. Joe Bongiorno of the NYC Department of Corrections; Dr. Jeffrey Basti, the District Surgeon of the NYPD; John Delgaudio of the NYPD Columbia Association; Joseph Dellacava of the NYC Department of Education; and Cecil Jones, SGT of Boston PD- St Michael Law Enforcement Society of Massachusetts. This Association is dedicated to the American ideal of equality of all men and women under the law, regardless of race, religion. Or national origin. It seeks to effectuate a unity of effort and purpose among all persons of Italian origin through the coordination of activities of all new and presently existing affiliated Columbia Associations and to perpetuate the rich tradition of Italian culture. It seeks to inspire its members, both as individuals and/or groups of affiliates, to be conscious of the freedoms to foster a keener spirit of brotherhood, good-fellowship and understanding among all Americans. It aims to achieve this goal through a program of education and through charitable endeavors.